Unlike my holidays last year I had a smaller range of sun protection to take with to Menorca and put to the test, including two products that were new to me and from less fancy brands. The first is from Soleil Suncare*, Tesco's own brand. I tested out the SPF30 which is an affordable £3.50 and can be thrown into the shopping basket with your milk and eggs. This isn't a 'luxurious' formula and reminds me of your old and traditional types but it was inoffensive and did the job intended. Despite it's smaller price point it's still dermatologically tested and contains vitamin E, omega oil and green tea to moisturise the skin. More importantly it protects as you want and I didn't burn at all whilst using this. Because of it's slightly thicker formula I preferred to use on my legs, especially if I'd shaved them in the morning. There is a slight white cast that you need to ensure you rub in thoroughly but I can't complain. Ben also used this and I might suggest that this is one you can push into the hands of your gentleman friends who aren't too worried about what products they're using and save the fancy stuff for yourself. Of course it's important not to give some extra attention to the face when in the sun, and despite wearing a hat most of the time I wanted to ensure I was covered. 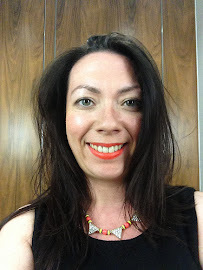 On my recent trip I used Solero Facial Anti-Ageing Suncream* in SPF 30. Solero is the suncare brand from Lloyds Pharmacy which has been created to protect against Infrared-A(IR-A), a third of the sun's damaging rays which cause both short and long term damage yet often omitted from other brands products. Whilst I have used Lloyds Pharmacy products before with success I was slightly dubious about how I would find their suncream. I used this in place of a morning moisturiser and it is certainly thicker than some products and a little heavier on application but it sinks into skin nicely and I was happy with it's appearance. The biggest concern with SPF is always that it can lead to breakouts, especially if it's not washed properly. Despite it being that time of the month during my trip, and when I'm most prone to hormonal breakouts I didn't experience one and this was a week I wasn't double cleansing or acid toning... and yes if I'm honest I'm sure there was a night or two I just reached for a face wipe. Usually I would leave behind any sun care preferring not to use up valuable luggage allowance but this time I have packed away ready to use on my trip to Italy next month. Happy with the results I'm in no need to replace with alternatives and it's great to know that if I were invited on a last minute trip (if only!) then I could easily nip to my local high street and find products just as good as the more well known or fancier brands. What sun care do you like to use on holiday? 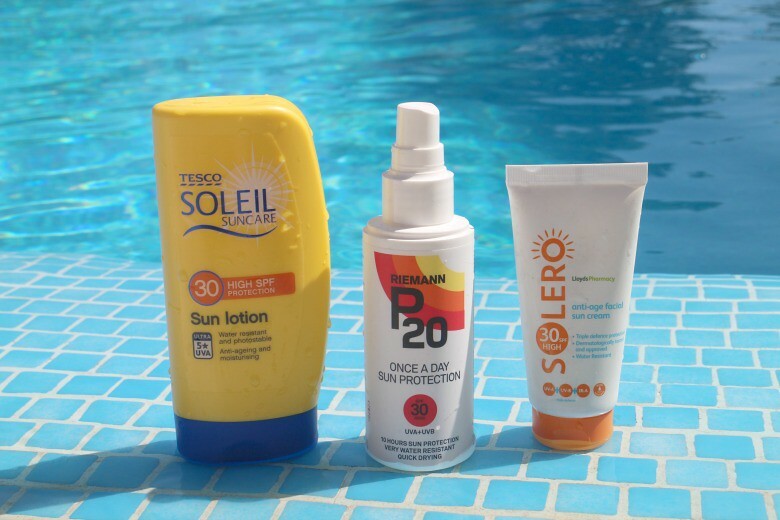 I've been using the Tesco Soleil for 3 or 4 years now and find it great (although I haven't been abroad to warmer climes). Being fair skinned I always go for at least factor 30 and like that this has 5 stars, unlike some of the 'leading' brands.